J-Ships.com has been existence for more than a decade. I have taken it upon myself to rebuild the site from the ground up using WordPress. As I transfer information over, I will post the new additions here for your quick reference! The Zuiho build in 1:100 has been completed and looks great! Coupled with this build is the reference page dedicated to the Zuiho Class. To see the Zuiho Reference Page, click here. To see the Zuiho Build pages, click here. 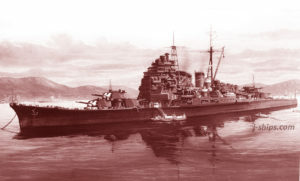 To see the completed Zuiho, click here. Battleships, Carriers and Subs! Oh my! Ever woken up in the middle of the night wondering what the ship-horse-power of the Kuma class of light cruisers was? Ever wonder what the Hiragana was for the battleship Fuso? Ever wonder which ships were sunk during the first half of June in 1943? Well, wonder no more; this site has all of that information and more. By 1930 the Japanese were quickly coming to the realization that they could never be on par with the American and British navies with regards to number of ships. 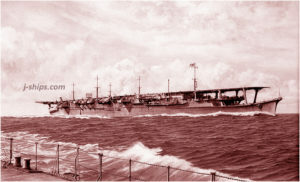 Not only were the naval treaties of the time hamstringing the Japanese expansionist dreams, but the potential industrial might of the United States and the vast natural resources available to the United Kingdom via the British Empire left Japan a distant third on the world stage on all things navy. The Japanese faced another very real problem: manpower. When performing war plan scenarios with different nations, the principal four belligerents (UK, USA, China, USSR) vastly out stripped the Japanese in population as well: potential sailors, soldiers and airmen. The Japanese, with their naval designs, sought to counter these two very real and insurmountable limitations with the “bigger and better” mindset. 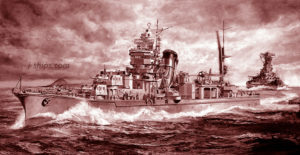 It was during the 1930’s that the keels of some exceptional ships were laid down; from the super destroyer Shimakaze, to the super battleships of the Yamato class, to the super light cruisers of the Mogami class, to the super submarines of the I-400 class; the Japanese indeed practiced the art of designing the biggest and best ships in the World. One integral area that the Japanese were globally on par with, but did not excel in, was Aircraft Carriers. The design of their aircraft carriers in the 1930’s was impressive, but the same could be said for the USN and the RN carriers of the time. Each nation took different ideas and incorporated them into the design of their carriers. The Japanese and Americans actually seemed to learn the same things in the 1930’s and their carriers were quite similar with regards to protections and size. The Japanese however were truly the first to plan and execute wartime operations with the concentrated firepower afforded by groupings of up to 6 large aircraft carriers at a time (Pearl Harbor, Indian Ocean). Unfortunately, for all the time and effort put into the design of these fantastical vessels the Japanese were short sighted on one key component and it proved their ultimate downfall. It is not directly correlated with their ship designs, but rather how ships of any class were at the utter mercy of air power. Air power, and more specifically, attack aircraft, would wreck havoc on all nations navies during the course of the war. The reader may quip, “But the Japanese excelled at naval air power, and even land based air power, in the early stages of WWII”. I agree with this sentiment wholeheartedly. Where the Japanese failed more than nearly any other nation in that conflict, and saw the fortunes of war turn against them within the first 12 months of fighting, was in their air crew training. One can excuse them for holding on too long to aircraft types that became more and more outclassed as the war progressed (examples: Mitsubishi Zero or the KI-43), but their lack of foresight of how they would cope with the inevitable wartime attrition of their experienced air crews is inexcusable. By early 1943 (less than 18 months after hostilities opened) the quality of the Japanese pilot had deteriorated to such an extent that Japan could never hope to recover. Couple this reality with the new aircraft the Allies were fielding and the survival rate of green Japanese pilots was atrocious and untenable. Mid-1944 brought the sobering reality to Japan as they unofficially formed the first suicide squadrons during the defense of the Philippines. These Kamikaze squads became official and, alarmingly, were the most successful component of Japanese air power in the waning months of the war: They just needed to train the pilots to take off, follow a lead plane and point their plane at a ship – a far cry from training a fully capable pilot in the late 1930’s. It is understood that the Japanese had to be beaten back to their shores and brought to task for their aggression. Most historians agree that the minute the Japanese bombed Pearl Harbor that they had lost the war. They did not have the manpower or natural resources to continue to fight the Americans, let alone the British in late 1944 and the Russians in mid-1945. They took every step they could with the design and deployment of the majority of their naval vessels and it shows in hindsight when side by side comparisons are made today. One can only speculate on how much longer the war would have dragged on and how many more people would have perished if the Japanese had redesigned their air crew training before the outset of hostilities with the Allies. If they had adopted a more American approach to training.